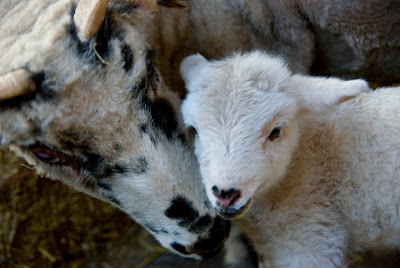 The Sheep Whisperer: Top Ten Animal Moms-3! 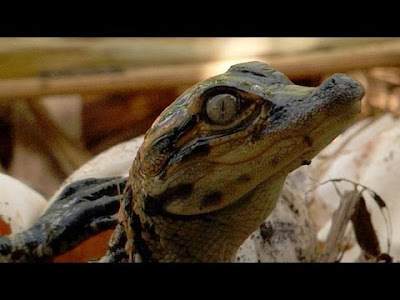 Alligators are my next choice for my "Top Ten" list of Animal Moms. 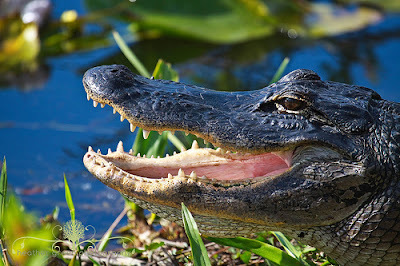 Ewe wouldn't think anything cold-blooded could make a "gushy" list, but Alligators break the mold! An Alligator Mom first prepares a mound for 3 days, using her mouth & front paws to gather both dry & wet vegetation for the nest. Then she hollows out the center, where she will lay her 20-70 eggs & begin the 9-10 week incubation period. This mound is protected fiercely by Mom, & she even grunts to the babies in the mound, to ascertain the time of their hatching & departure from the mound.! She then gathers the babies in her mouth & carries them into the water. Mom will watch the babies while in the water for 1 year. Now that's supervision! 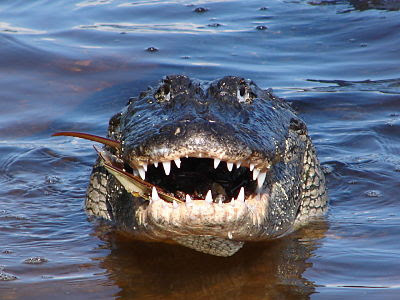 I'm one bad Mama if Ewe mess with my baby gators! I just broke out of my Nest Egg! Thank Ewe for nominating me for Ewer "Top Ten" List! 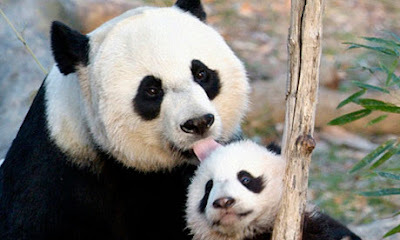 The Giant Panda is my next choice for the "Top Ten" list of Animal Moms. 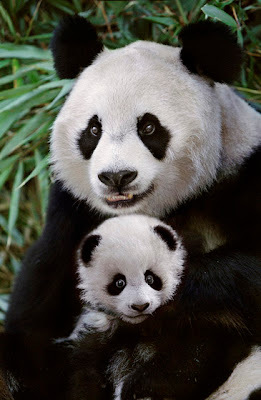 Giant Panda Moms weigh up to 250 lbs., & give birth to one or two 3.5-4 ounce babies! 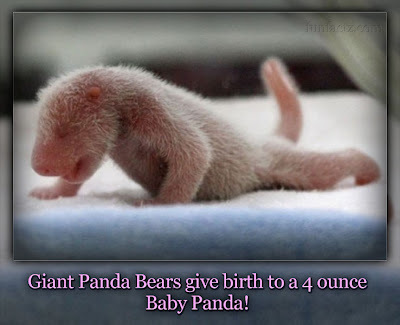 These tiny babies need a great deal of nurturing & care from Mom, since they are literally helpless on their own. 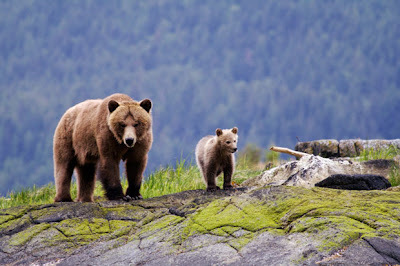 Mom will nurture them for approximately 18-24 months, while at the same time, attempting to satisfy her own voracious appetite of eating 12-15 hours a day. That's dedication Mom, however, please be careful not to roll over on ewer babies. Isn't my cub the Cutest? I definitely need a "Top Ten" Mom to care for me! As a cub, each day Ewe got to take Ewer "Licks"! 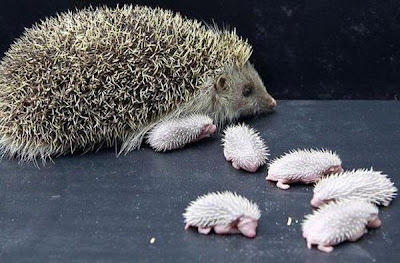 My next choice for my "Top Ten" list of Animal Moms is the Hedgehog. 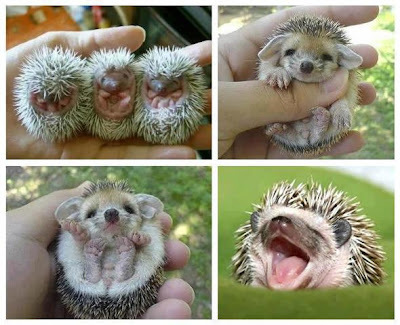 Imagine giving birth or 4 or 5 "hoglets" or babies, that are covered with spines! Ouch! 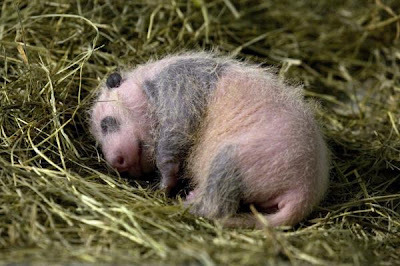 Fortunately, the hoglets have soft spines at birth & they don't stiffen until 36 hours after birth. 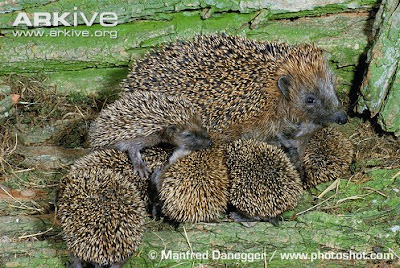 This Mom must raise these babies as a single Mom, & her hoglets are born helpless! 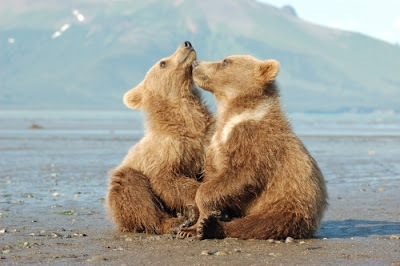 They are totally dependent on Mom,with their eyes & ears closed at birth. We make Great Pets! Try us, Ewe will like us! Do Ewe know the phone numbers of any babysitters? I have very "SHARP" Kids! Ewe don't want to mess with Our Mom ! We are like two peas in a pod! 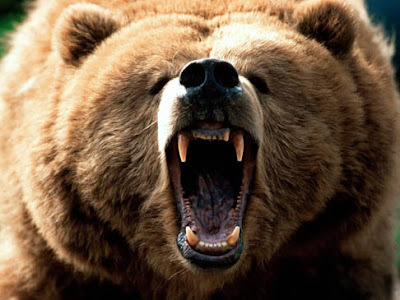 Ewe mess with my cubs & Ewe will die! Sheep make for very attentive Moms after the springtime birth of their lambs.They nurse lambs 1-2 times per hour for the first couple of weeks of their new lives. Lambs also like to sleep as close to Mom as possible. Mothering lambs is definitely "Labor Intensive"! Wouldn't EWE agree? I Love Ewe little Lamb! How much are EWE Worth? The "Mamba" that isn't a Dance!